He was very optimistic in the pre-race interviews and is looking sharp... Vamos! Holy crap. Can't wait for Etna. He's fit. Needs to avoid crashes and mishaps in these next couple of stages, then I'm sure we'll have fun. It was also the right kind of punchy for him. Now please, stay on the bike! Wow. Did not expect him to place 11th in the TT Vamos! Did not expect that ITT from him. Looks like he may have found his form. Let's see if he can keep it and stay on the bike for 3 weeks. He should be a contender for the hilly stages with a punchy finale, like the first two in Sicily. What an enigma this guy is. Betancur is good on TT's when he is fit. That means he is fit. Koronin wrote: I read today that they (Movistar) are planning on going with no leader/no protected rider and like last year's Vuelta each rider can race it as he sees fit for himself. I read sowehere that they were going for GC with Carapaz and Betancur. Maybe they knew something we didn't. 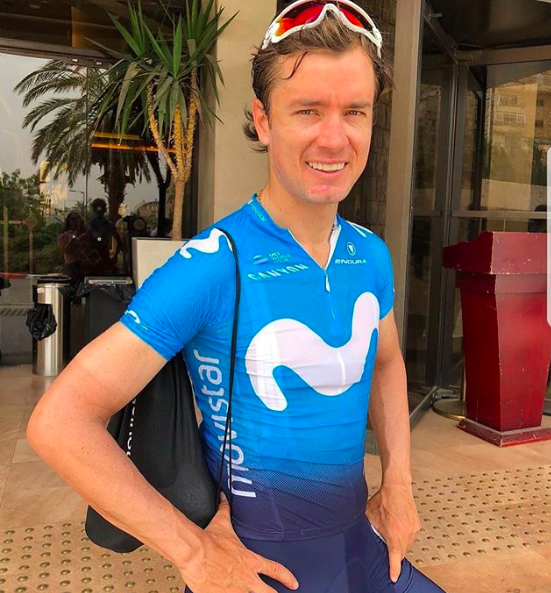 I think it's now quite obvious that the real reason why Valverde, Landa and Quintana are all going to the tour is that Betancur told the team he wants to be the sole leader of the gt he enters. Moreover the three probably didn't want to ride with Betancur either. They want a chance to win after all. Gigs_98 wrote: I think it's now quite obvious that the real reason why Valverde, Landa and Quintana are all going to the tour is that Betancur told the team he wants to be the sole leader of the gt he enters. Moreover the three probably didn't want to ride with Betancur either. They want a chance to win after all. Ryo took over Gigs profile!!! Looks like you all have been joking for a few hours. Carlos: NO, I am going for that jersey. Nairo: I can go for the mountain jersey. Carlos: NO, I am going for that jersey too. Carlos: NO, don't need you in my team! Strictly team players. Unzue: Carlos, we have to share in this team. Carlos: FINE, I will play you best of 3 8-ball games for it. Unzue: Not fair, you have been practicing for years on that. Carlos: Beer chugging contest then. You four vs me. I win, I lead! Unzue: No chance there either. Nairo, Landa, Alejandro, get ready for the Tour. La Ronca has spoken.